^ Bowlt, Eileen. M. 'The Goodliest Place in Middlesex'. A history of the Ancient Parish of Ruislip from the Domesday Book to modern times. 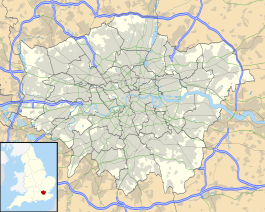 Uxbridge: London Borough of Hillingdon. 1989. ISBN 0-907869-11-4. Eastcote station. Tube departure boards. Transport for London. Eastcote. Photographic Archive. London Transport Museum. （原始内容存档于2014-02-19）. Eastcote station, 1925 A group of children from the East End of London wait for a train to take them home from an excursion to the Pavilion.